Offering you a complete choice of products which include mobile bio toilets, plain area bio toilets and bio digester with shelters. 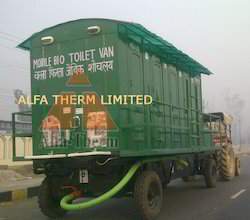 We are fully committed in offering wide array of Mobile Bio Toilets, which are known among our clients for easy portability and robust design. Preferably used in marriage occasions and tourist places, these toilets produce optimally inflammable gas with maximum efficiency. We have with us wide designs of these toilets available for our vast clientele base at relatively cheaper rates in the market. Being a customer focused organization; we are engaged in manufacturing, supplying, trading and exporting a wide assortment of Plain Area Bio Toilets. 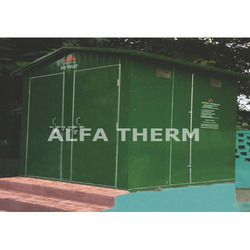 These toilets are widely reckoned for their weather proof and high functionality aspects. These toilets are applauded by clients as these serve the segregated needs of clients in an efficient manner. Also, we offer these at industry leading rates. We are highly appreciated in the international market for our exquisite collection of Bio Digester with Shelters. These toilets are widely used in distant places where no sewage line is available, owing to their easy transportation and low maintenance aspects. Our range is manufactured in adherence with latest industry norms utilizing fine grade material and ultramodern technology.